Create your business model description for review by third-party investors. Gain faster access to technology licenses. 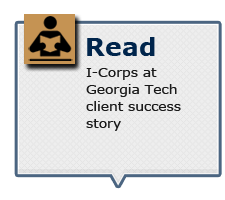 NSF grantees, including students, faculty, and entrepreneurs, are eligible to participate in the I-Corps program. 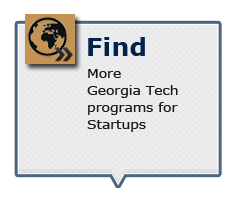 Due to Georgia Tech’s involvement in producing and mentoring entrepreneurs through VentureLab, Georgia Tech was chosen as one of three designated I-Corps nodes in the United States. 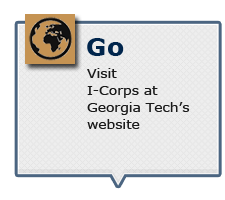 I-Corps makes use of Georgia Tech’s entrepreneurial resources and connections to help move scientific research from the lab to manufactured products. 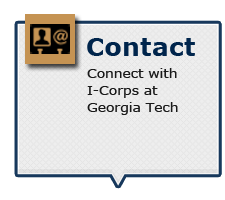 The Innovation Corps (I-Corps) is part of the Enterprise Innovation Institute (EI2) at Georgia Tech, which helps enterprises improve their competitiveness to significantly impact the economy. 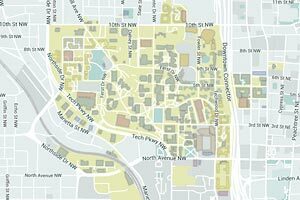 The Georgia Tech I-Corps administers the curriculum of this new NSF initiative. Georgia Tech and University of Michigan were selected as NSF I-Corp nodes in addition to Stanford University, where the I-Corps originated. I-Corps is supported by the National Science Foundation, the Ewing Marion Kauffman Foundation, and the Deshpande Foundation.